The 2010 Geneva Motor Show is just days away, and the list of vehicle debuts is seemingly never ending. 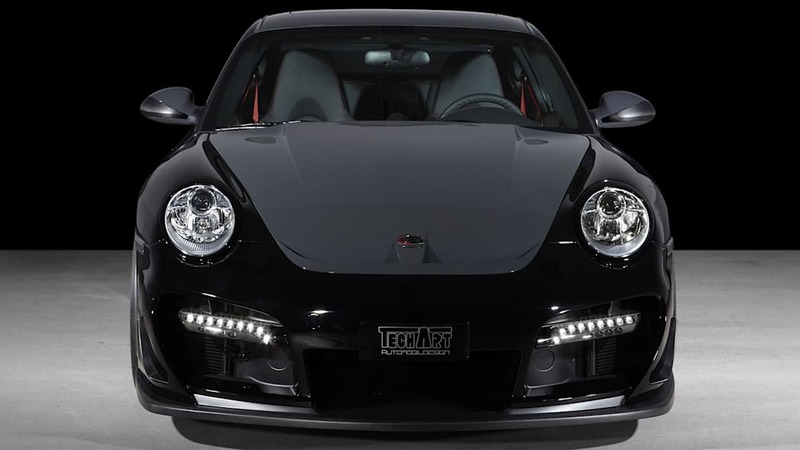 Last week Techart announced that they would be bringing their modified 2010 Porsche 911 Turbo, and today the German tuner previewed two more new cars that will debut at the show. 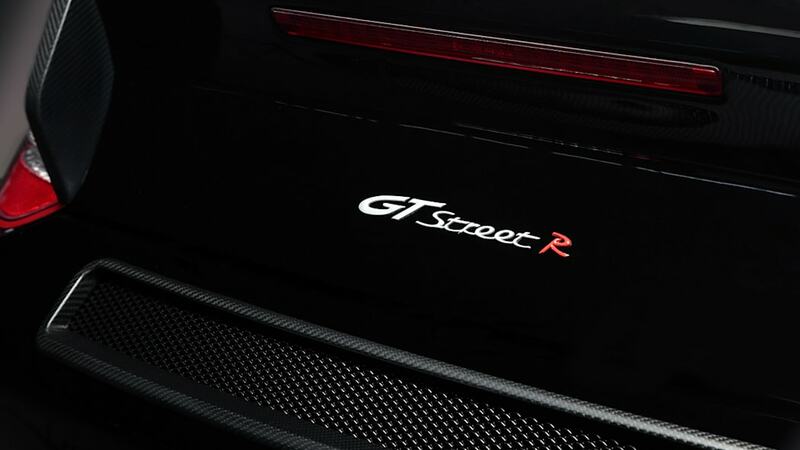 The first is an all-new version of the GTStreet R model. 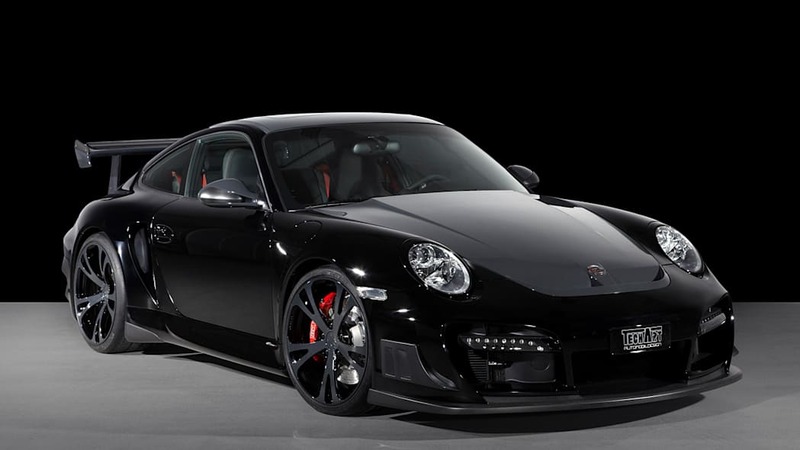 Based on the 2010 911 Turbo, the GTStreet R is about serious performance. 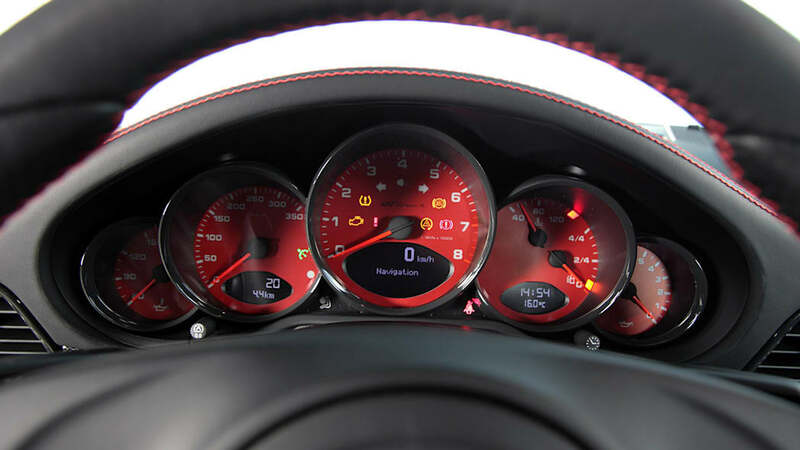 The 3.8-liter twin-turbo flat-six produces 660 horsepower and 635 pound-feet of torque, and Techart claims a 0-100 km/h time of 3.5 seconds as well as a top speed of 214 mph. 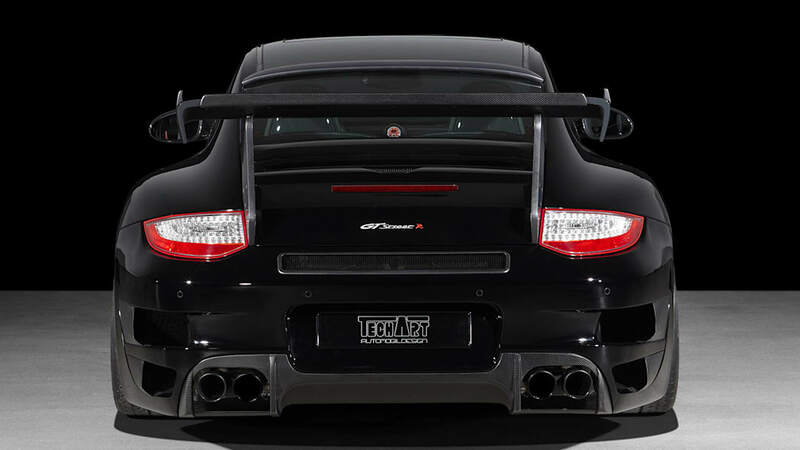 Providing the looks to go with the power is an aggressive aerodynamic kit that includes an adjustable rear spoiler and carbon fiber rear diffuser and front splitter. 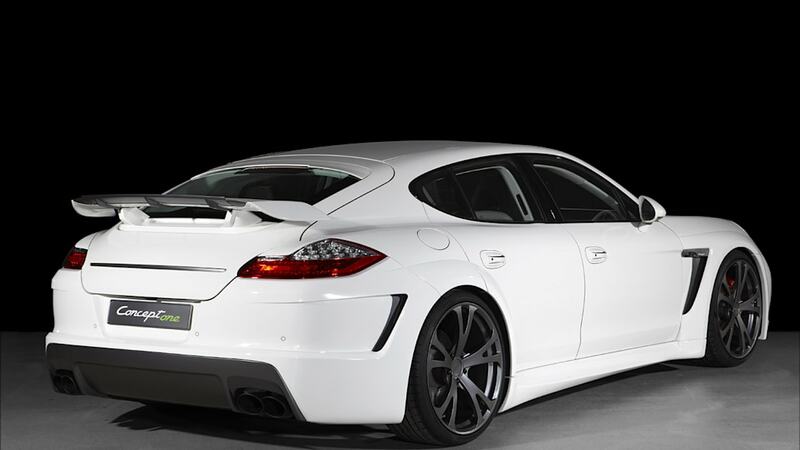 The second vehicle is the Concept One, a design study based around the Porsche Panamera. Unlike the GTStreet R, the Concept One is less about go (although it does have a 550 horsepower twin-turbo V8) and more about go. 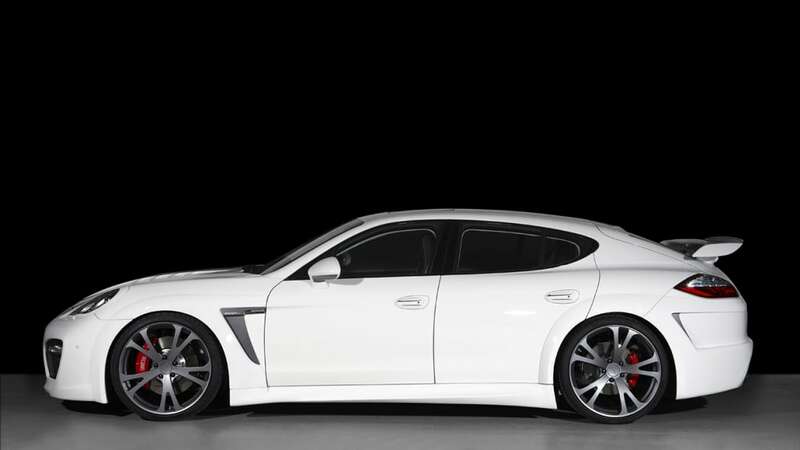 The exterior features a full body kit as well as 22-inch forged wheels. 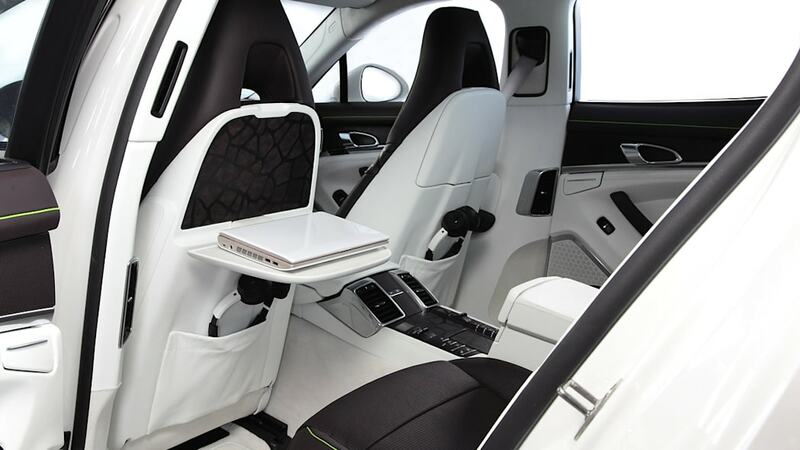 The inside is upholstered in a striking white and cocoa leather complimented by phosphor green stitching. 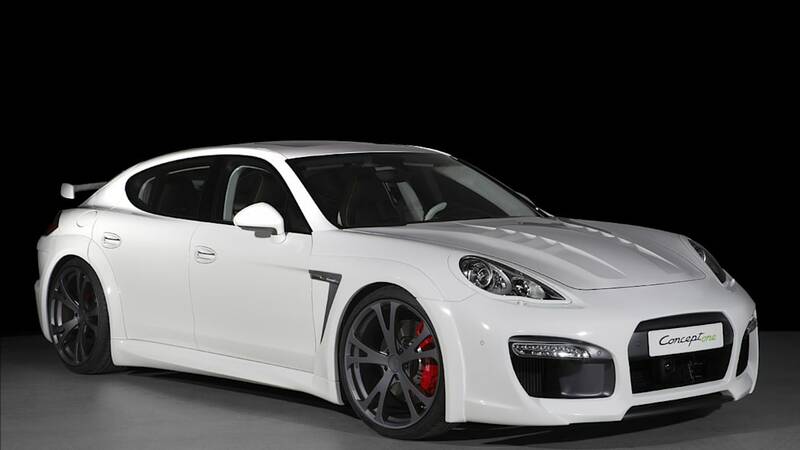 Even Techart calls it "unusual personalization." You can check out both cars in the high-res galleries below and get more info after the jump. 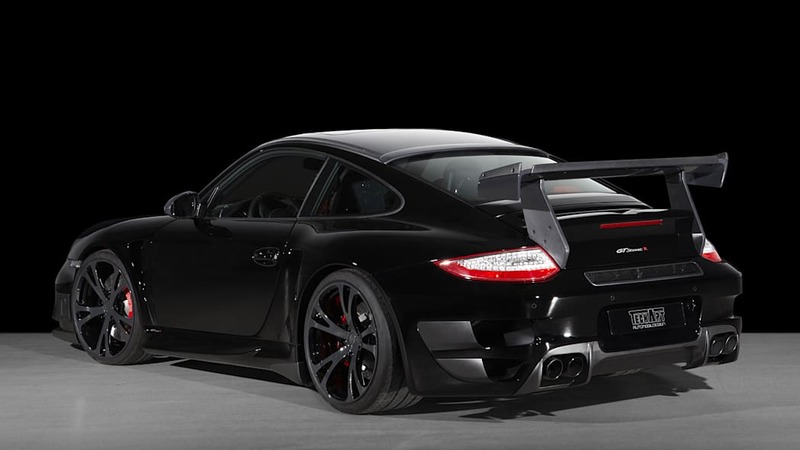 The TECHART Formula 5-spoke light alloy wheels in dimensions of 19" and 20" transfer the enormous level of available power securely to the tarmac. 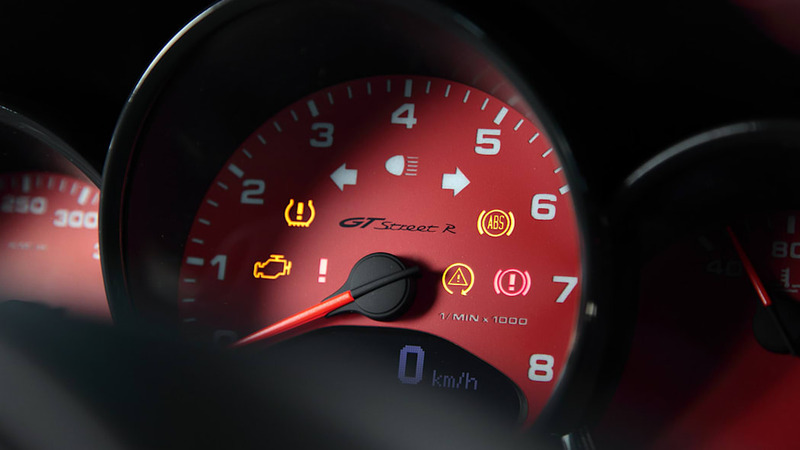 For optimum road holding, TECHART recommends fitting either Conti Sport Contact 3 or Michelin Pilot Sport Cup Plus tires. The TECHART VarioPlus threaded chassis design means that it is possible to adjust the chassis height by up to 25 millimetres, to suit the route conditions. 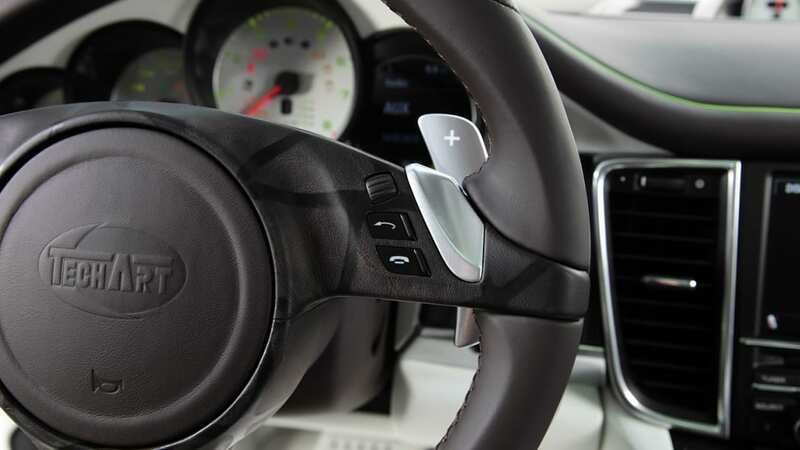 The TECHART nose-lift system allows the driver to raise the vehicle by up to 60 millimetres at the front axle, at the touch of a button, to avoid unpleasant contact with kerb edges or steeply inclined upward road surfaces. 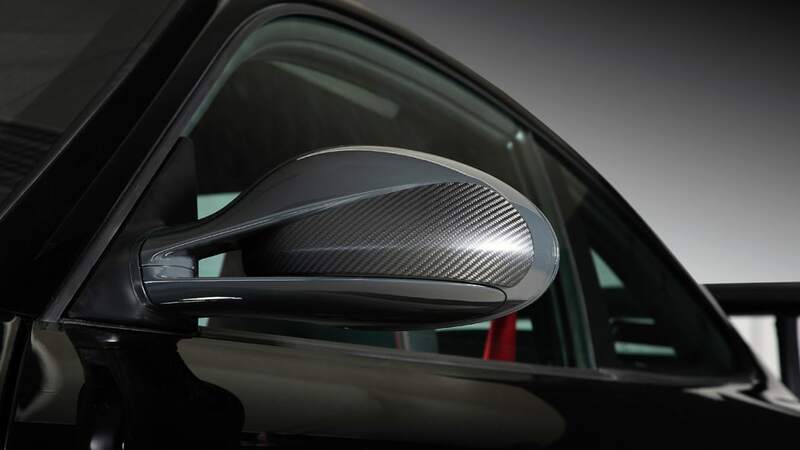 Passion and love of detail – the exclusive TECHART character is also reflected in the interior of the sports car. 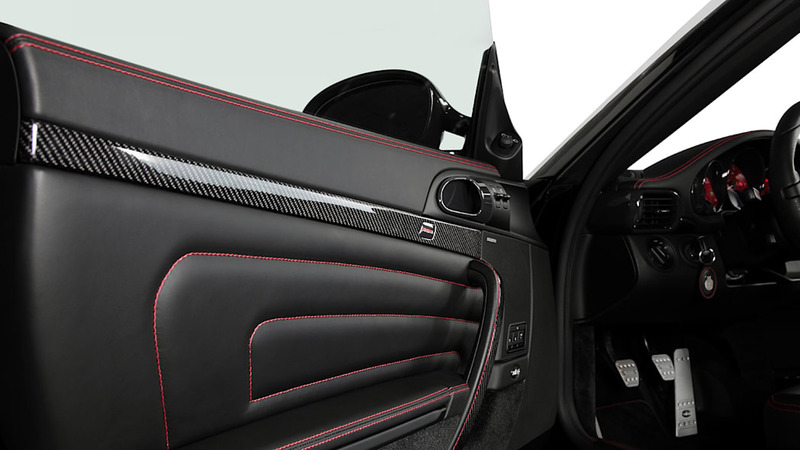 TECHART's complete leather furnishings, including the door and side panels, emanate a unique feel, in combination with the delicately fashioned and custom-coloured decorative stitching on the centre console and bucket seats, and in other places too. 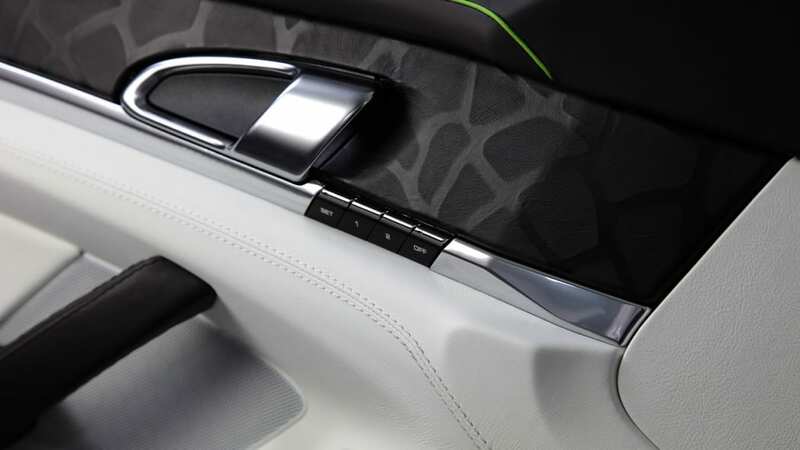 Individual decorative components made of carbon fibre, the aluminium pedals, and the illuminated entrance sills serve to further enhance the uniquely athletic appearance of the interior. 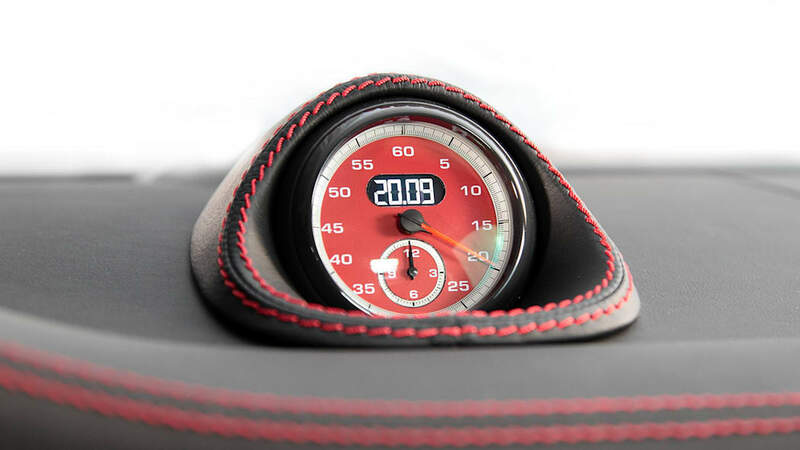 All in all, TECHART offers a virtually unlimited degree of freedom when it comes to customising the interior – with passion down to the last detail. 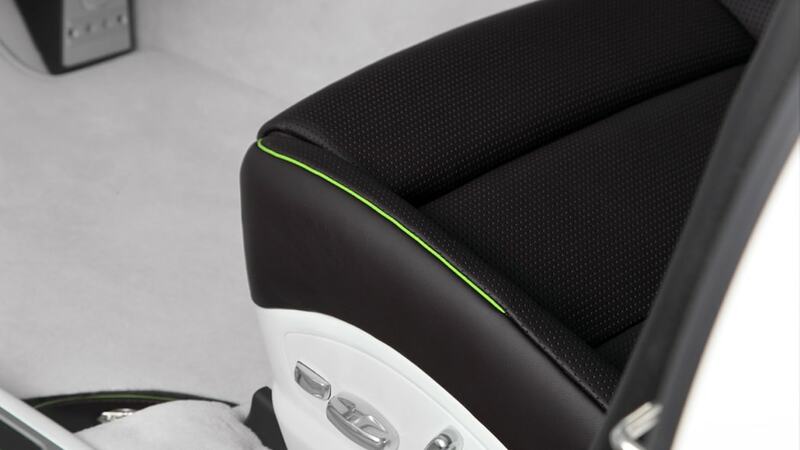 Another element which is GTStreet R through and through are the TECHART leather sport seats, which not only ensure an uncommonly high level of comfort and excellent side support, but are also fashioned from high-class materials. 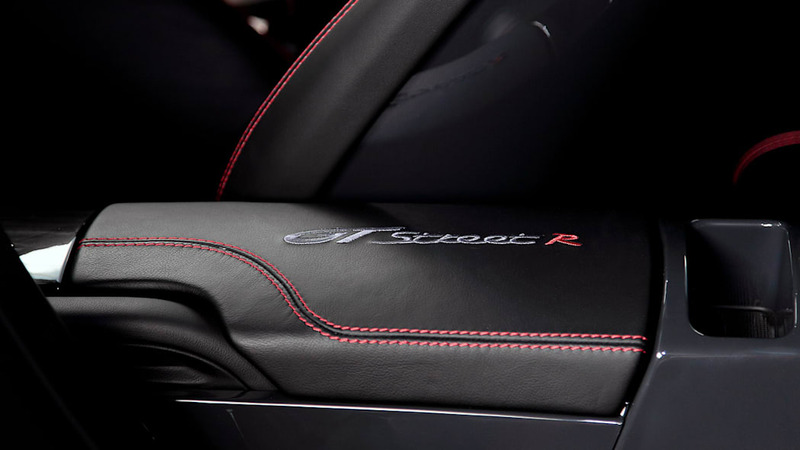 Such as the hand-made seat covering made of fine and durable leather and the backrests finished in the vehicle colour with the GTstreet R logo. 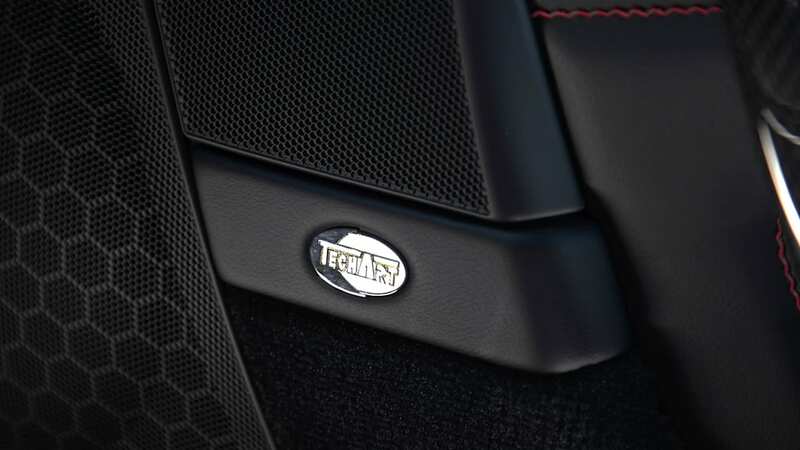 Individuality and personality, passion and perfection are concepts that substantially stand for TECHART. 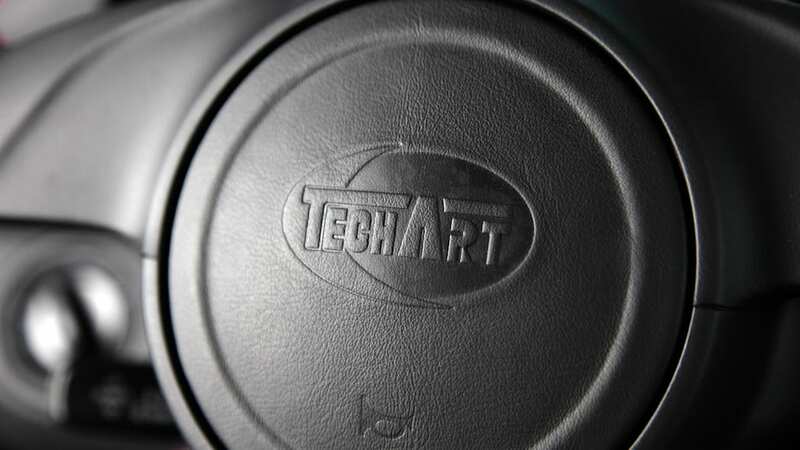 Yet TECHART is also defined by innovation and richness of ideas, by identification and instinct. 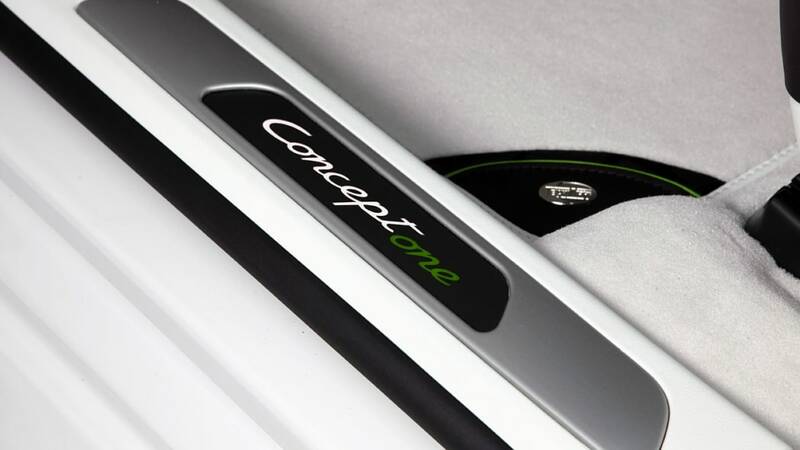 At the 80th Motor-Show in Geneva, TECHART proves this once again by presenting the world premiere of the Concept One individualization study. 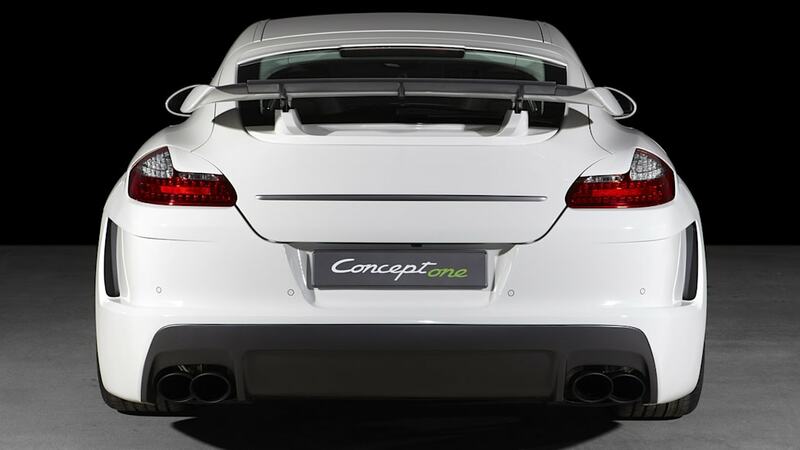 Thomas Behringer, general manager of TECHART Automobildesign GmbH, says: "Concept One provides an exclusive outlook on our second individualization level for the Porsche Panamera model range, which is noticeably different from the first subtle program. 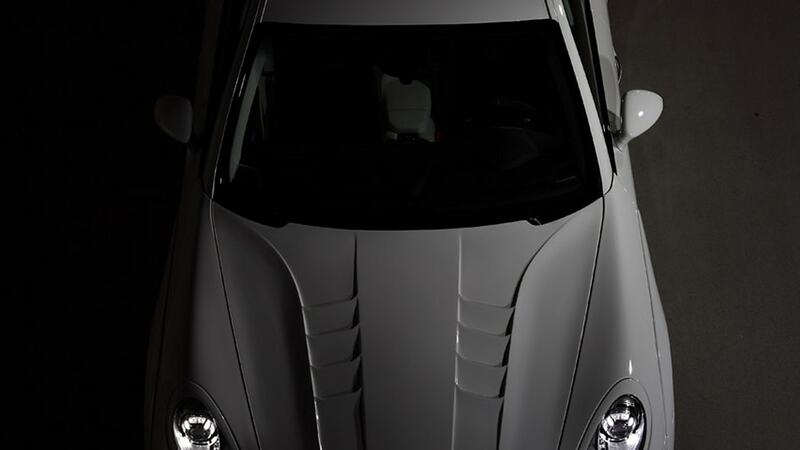 The study is defined by concepts such as strength, individuality and self-consciousness, and clearly reflects our customers' requirements for uniqueness and sportiness. 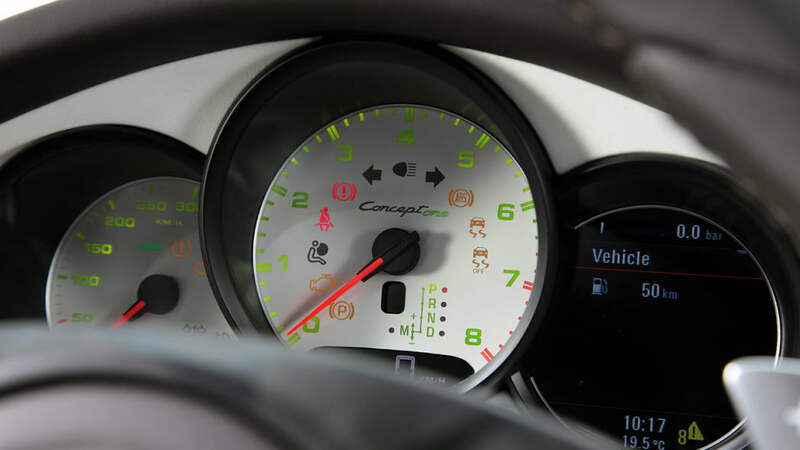 The Motor-Show in Geneva is precisely the perfect platform for presenting the design concept to the world's public." The overall design concept for the exterior with a 21-mm wider front axis and a 42-mm wider rear axis compared to the serial model is convincing owing to the TECHART-typical suitability for everyday use. 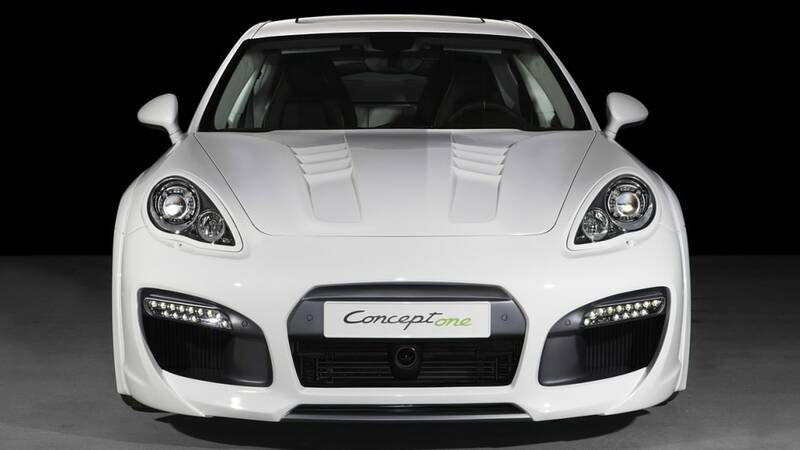 The multifunctional TECHART daylight driving headlight system contributes essentially to the active safety of the driver by combining daylight headlights, parking lights and turn signal lights as an LED system unit in one common housing that seamlessly fits into the vehicle front design. 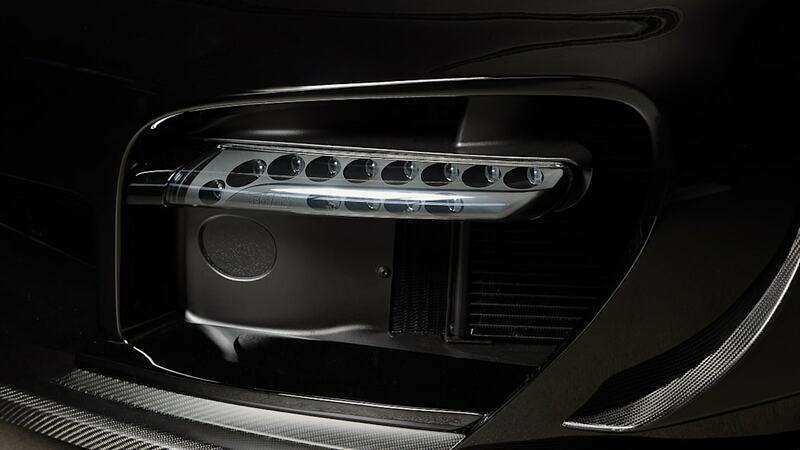 The intensity of the lights adjusts automatically to the selected headlight circuit. 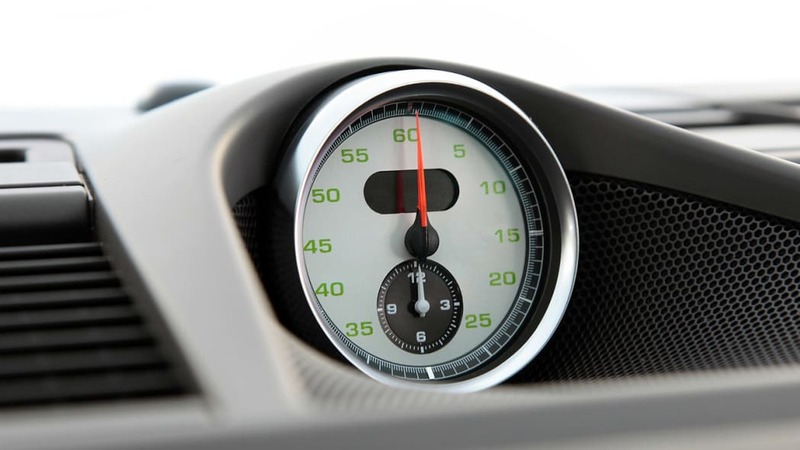 Additionally, the headlight can also be dimmed for improving the effect of the turn signal lights, even while turning off. 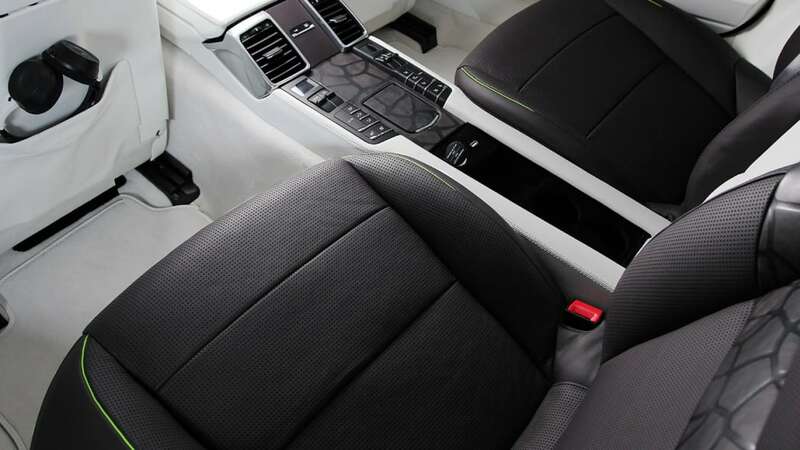 TECHART sets standards in the finishing of automobile interiors. 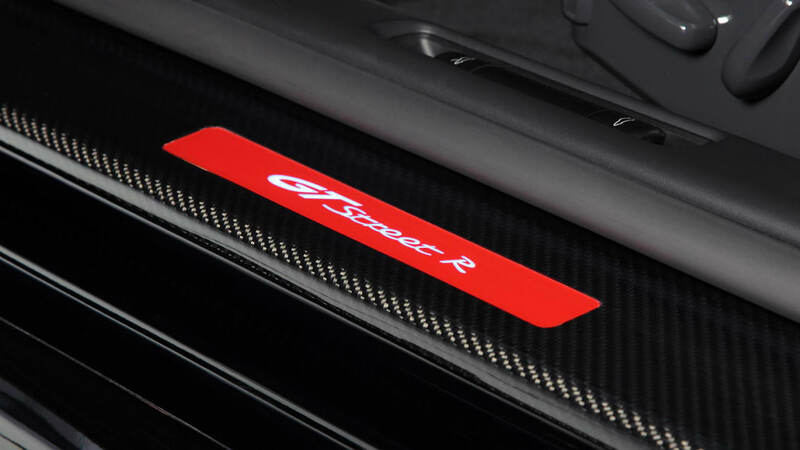 As in the areas of technical revision, aerodynamic optimization and exterior design, the passion for perfection is here once again in the sports car that can make the individual ideas of the TECHART customers a reality. TECHART's saddlery, well-known for valuable manufactured work, convinces in the study's interior through its unique internal finishing. 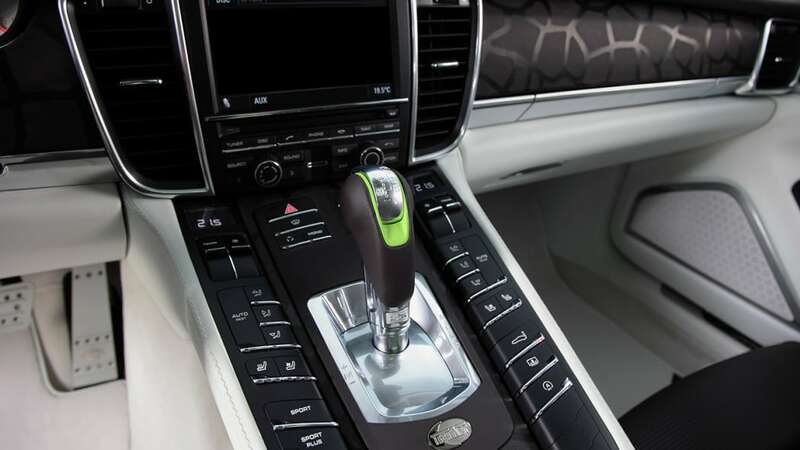 The TECHART full leather finish in the cocoa and white color combination, leather applications on trim parts in cerbero as well as manually processed decorative stitching in phosphor green masterly reflect the unique external appearance in the interior as well. 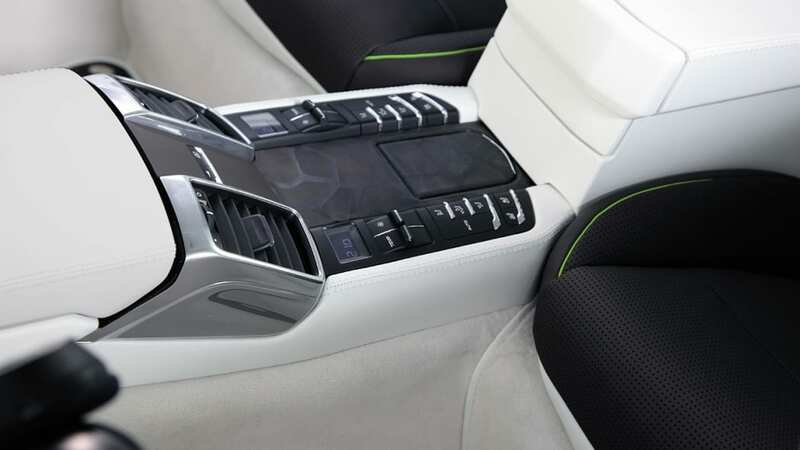 White carpeting in the vehicle's interior and trunk, the roof liner in alcantara and the white face with phosphor green digits complete the unusual individualization. 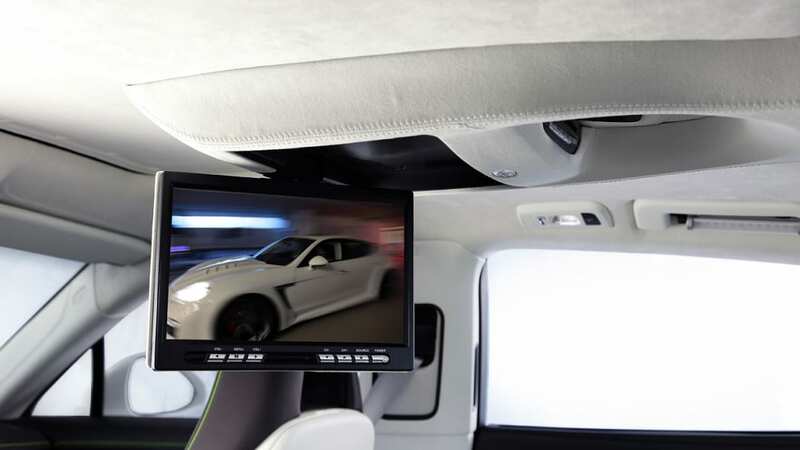 In addition, the study also shows some exclusive extras: A 10.2-inch ceiling monitor with integrated DVD player, a rear center console and two high-quality folding tables built into the front seats will also help pass the time in the back seat of the Panamera – whether for entertainment or work – this is left to the customer's personal imagination – as is almost everything at TECHART.